— Volunteer activity: Performing music for residents at Sandrock Ridge Care and Rehabilitation Center. “It’s not that I have to do it. I just love to do it.” — Bob LaFord, a local musician, about why he volunteers to play for residents at Sandrock Ridge Care and Rehabilitation Center. 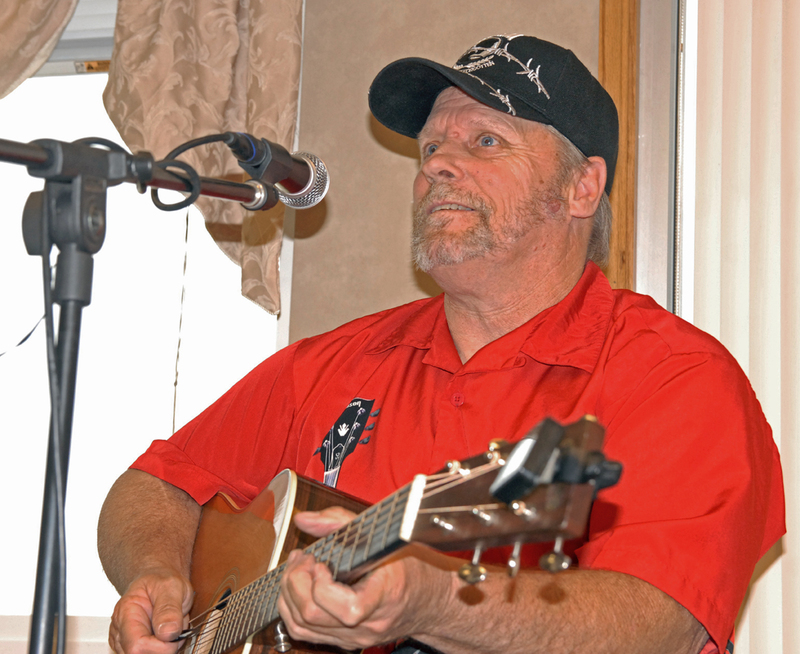 Every other Saturday, local musician Bob LaFord performs for devoted fans. He always ends with “Show Me the Way to Go Home,” a popular tune from the 1920s, which he sings as he strums his guitar. In between, he plays a motley assortment of pieces —“Home on the Range” and “Give My Regards to Broadway,” sometimes with a few tunes by Buddy Holly or Elvis Presley thrown in. “You’ve got to do a little bit of Elvis Presley,” LaFord said. He plays because he can, and because his audience — the residents at Sandrock Ridge Care and Rehabilitation Center—love to hear him. The music he plays at Sandrock Ridge is vastly different from the one he cultivated when he first began playing guitar in 1967. Back in those days, LaFord was a 17-year-old who was about blues and rock and roll, he said, particularly Bob Dylan. “Bob Dylan couldn’t sing and neither could I, so it worked out perfect,” he quipped. Playing at Sandrock Ridge has made him broaden his horizons as a musician and required him to learn songs he probably wouldn’t otherwise play, he said. LaFord, 62, has been playing at Sandrock Ridge for about seven years, enough time to expand his musical repertoire to include about 350 songs, he said. The residents have varied musical tastes—from rock to country—and he tries to oblige them, even if it means going to the library to research songs he thinks they might like. LaFord, one of many volunteers at Sandrock Ridge, believes music is a potent tool for reawakening their minds and hearts. “Everybody has an emotional attachment to music,” he said. Dewetta McKnight, Sandrock Ridge activities assistant, can attest to the power familiar songs can have on the center’s residents. Through the years, LaFord has come to know many members of his audience. Yet many of the people he remembers fondly are no longer there. Even in the midst of loss, LaFord’s music has been a bright point in the lives of fans. He remembered one in particular, late Craig resident Marion Jones, who enjoyed hearing LaFord play and loved one song in particular. After Jones’ death, his family asked LaFord to play at the funeral. Jones’ wife, Katherine, “was just beaming,” LaFord said.